Athletes Lift Weights. Cheerleaders Lift Athletes. 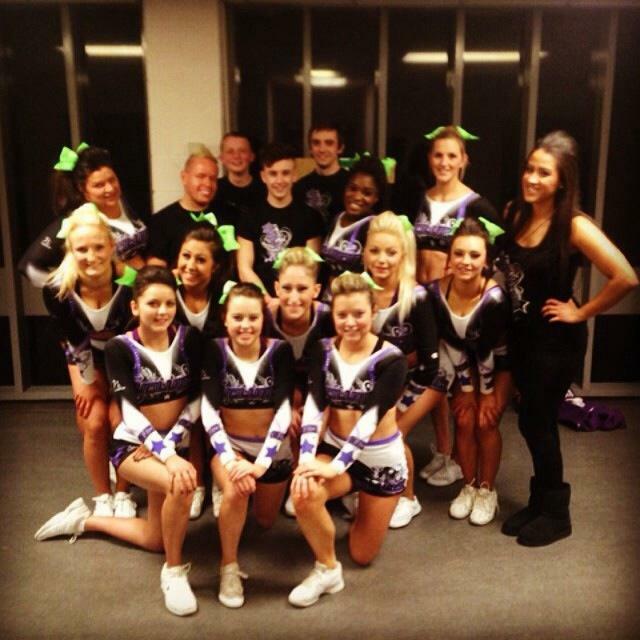 Why cheerleading deserves sport status. What sports do you know test the limits of explosive strength by lifting weights up to 80kg, or apply physical strength, flexibility, control and coordination for the execution of dismounts and tumbling? If you guessed weightlifting and gymnastics you would be right. What about sports which source core strength, balance, and cardiovascular endurance, as elements central to performance, or involve the manipulation and stretching of the human body to execute a series of somersaults and twists whilst in the air? If you guessed rowing and diving you would be right yet again. What if I told you that Cheerleading embodies all of these components, would you consider it a sport? 1. There is enough gender inequality in the world. We don’t need it running rampant in sports. It is no secret that we live in a society in which we are defined by the amount of masculinity or femininity manifested in different areas of our lives. We are constantly judged through our social interactions, especially the activities we choose to enjoy, so when society tells us that activities which are dominated by women, such as dance or cheerleading are ‘less masculine’, it is no wonder these areas struggle with male involvement and support. Cheerleaders personify endurance, determination, and the competitive spirit, and are literally fighting the ideals embedded in society which constantly tell us that we are not good enough. We challenge the ideals associated with masculinity and femininity every day which is why it is no surprise why it always comes down to gender in heated debates. Your minds have been warped by the media; forget about the ‘Bring it On’ movie series, or the stereotypes that all male cheerleaders are gay. Throwing someone 10 feet in the air or somersaulting at high speeds has nothing to do with masculinity, femininity or sexuality; although Helen Grant might disagree (miserable old bat). Instead – it is about pure MENTAL and PHYSICAL strength, and ladies and gentlemen we sure as hell have it down packed and cemented in our DNA. 2. We throw people not objects. For all the nonbelievers out there who doubt our abilities as cheerleaders which warrant sport status, please tell me the last time you literally had someone’s life in your hands. Athletes lift weights, and get Olympic medals and international recognition for honing their technique and skills, but we as cheerleaders lift athletes and get none of the above. Throwing a dart, football or javelin require technique that takes years to develop, but so does throwing a person and catching them after they have changed position several times in the air. This isn’t something that you can just YouTube or learn after a couple hours, trust me, I have taught other athletes and they struggled with just the basics. We are entrusted with people’s lives, and every time we step on a mat to practice we know that 2 counts off, or a foot in the wrong direction literally means the beginning of the end. I have pulled ligaments, been concussed and lost my vision for a week, yet you will find people with far worse injuries who like me, just can’t get enough. The abuse we put our bodies through in the pursuit of hyper flexibility and incredible core strength in order to balance on one foot 10 feet in the air, or invert our legs in a jump in a matter of seconds in the very least not just warrants recognition but demands respect. They won’t give us sport status, but they will air Worlds Cheerleading Competition on ESPN. We train like athletes, practice like athletes and compete like athletes, yet there is this contention when all we ask is to be respected like athletes. Just try and do what we do before you judge us. 3. Be a part of a historical movement. Don’t just stand on the side-lines. Yes there are cheer teams which shake pompoms and dance in revealing outfits during half time games, but it has since evolved. Cheerleading has now taken on a competitive form; cut throat competition where displays of death-defying and innovative stunting and tumbling result in 1/10 of a point separating the winners from the losers. The battle for sport status has been ongoing in the United States, and it has been said that it is not held in limbo due to the lack of athleticism of cheerleaders, but rather the upper-level organisation of cheerleading; the politics and bureaucracy of it all. While it may take some more years for it to be recognised as a sport in the United Kingdom, we should be able to rely on smaller institutions offering status on a case-by case basis; in particular University Sports Unions. Universities have the chance and yet the red tape never seems to disappear. Excuses after excuses. Condition after condition. Enough is enough! It literally kills me to see my former club, the Edinburgh University Cheerleaders (EU Vixens) prevented from getting full club status. Forgot the trophies and titles illustrating their repeated commitment to excellence in sport at the University of Edinburgh. Forget the amount of money (in the tens of thousands) from club members fundraising efforts, financially supporting themselves through 4 competitions over the last two years. None of that seems to matter unless you check of all the things on a list. They are truly incredible individuals and talented sportsmen and women. 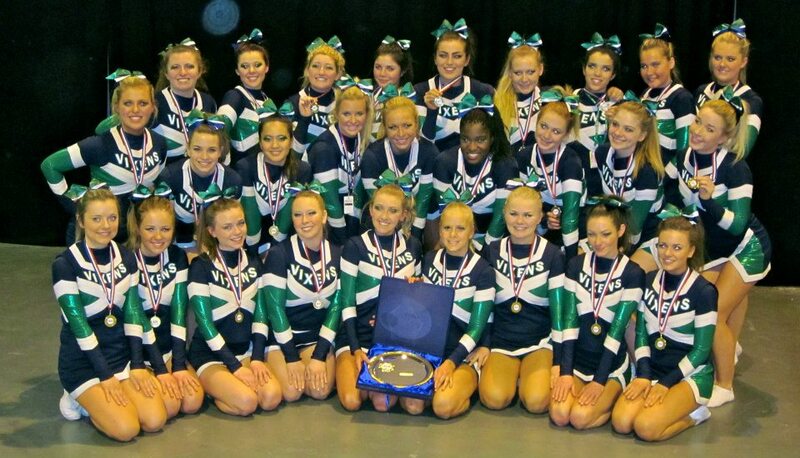 Quite frankly it’s not just the Vixens who are being let down, but cheerleaders nationally. I urge you, your voices matter. Let’s start at the bottom and make our way to the top; tell your friends, family members, sports clubs, and university sports unions to get off the side lines. Cheerleading is a sport. Forget the politics. Forget the procedure. Let’s make history. Siedah Martey is 23 and she is currently studying Law at the University of Edinburgh. Cheer has literally changed her life, and she attributes her self-esteem and increased self–confidence to being a part of the Edinburgh University Cheerleading Club for three years, and now Cheer Evolution All Stars. In other Siedah info, her hair, whatever the style, is always fierce. I read this article and found it very interesting, thought it might be something for you. The article is called Athletes Lift Weights. Cheerleaders Lift Athletes. and is located at http://prancingthroughlife.com/2014/04/14/athletes-lift-weights-cheerleaders-lift-athletes/.